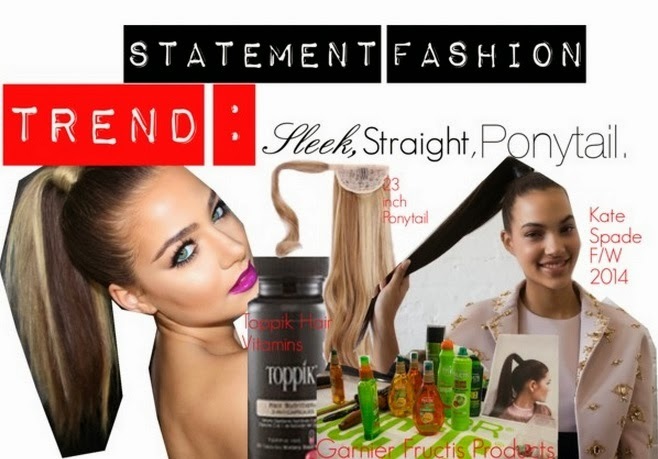 Sleek Straight Ponytails are timeless and classic. So it was of no surprise to me that this style re appeared as a Fall/Winter 2014 hair trend at the Kate Spade show here in NYC a few weeks back. I love this style whether it be high at the top of the head or even low at the nape of the head. If your natural hair is not long enough to create this look you can always "fake it till you make it" . My best suggestion is the 23inch Wrap by HairDo . Although this ponytail comes with a slight wave/curl , this hair is heat friendly fibers so you can use your flat iron to make it stick straight. If you're not into wearing pieces, give your natural hair a growth BOOST with Toppik Hair Nutrition 2-in-1 Capsules , a few months of these plus regular trims you should see some hair growth due to all the nourishing vitamins in these capsules. I'm still a fan of extensions - Instant gratification and the option of ever-changing hair styles ,but the pay off from taking vitamins are greater. 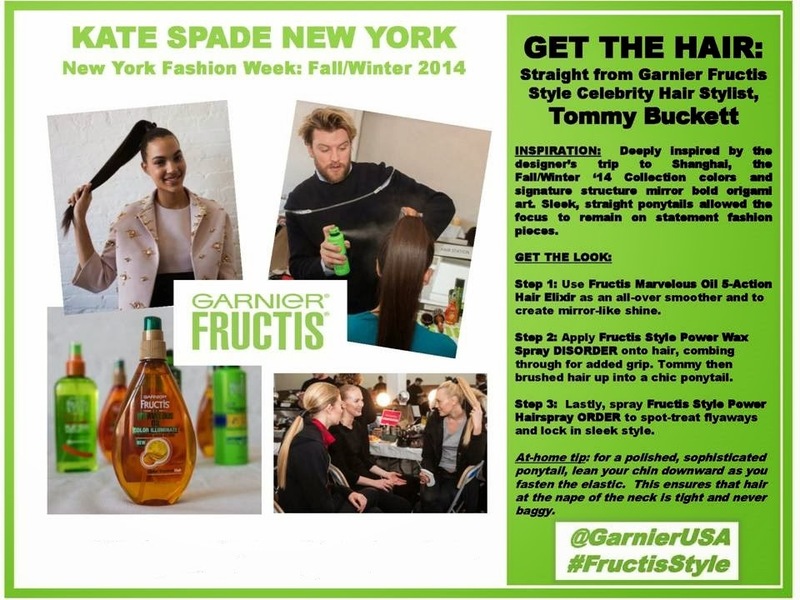 Below is a step by step tutorial on how to achieve this look (even with product recommendations) as explained by Garnier Fructis Style Celebrity Hair Stylist Tommy Buckett. Enjoy !